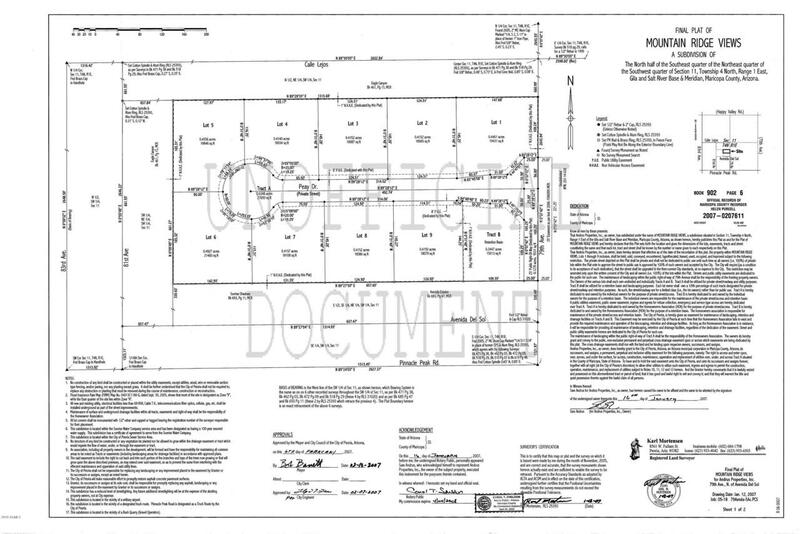 The listing is for all 9 lots in platted subdivision Mountain Ridge View.9 approximately 18,000 plus square foot lots.Two owners involved in sale.Taxes shown herein is for one lot, as is the address. Approved final plat 9 lot sub with City of Peoria.New developer will need to run all utilities, provide streets, curb and gutter and public report. Designed for a gated custom home lot community.Located at end of road very private and quite. Current owner has all development plans and bids for completion.one of the sellers may carry their portion.